German tourist visa application form is available online. The application form, documents, passport, and photographs need to be submitted to the German consulate. A visa processing fee may be payable. Each year the number of people traveling internationally increases. Germany is amongst the ten most visited countries in the world. Getting a German tourist visa is quite easy as long as you follow the correct procedure and have the relevant documents. Read on to know more. While the German countryside has a pastoral aura, the cities have a modern flavor. Some of the smaller cities and old towns balance their architectural heritage with new age styles. Berlin, Munich, Dresden, Heidelberg, Hamburg, Frankfurt and the German Rhine Valley are amongst the popular tourist destinations in this country. 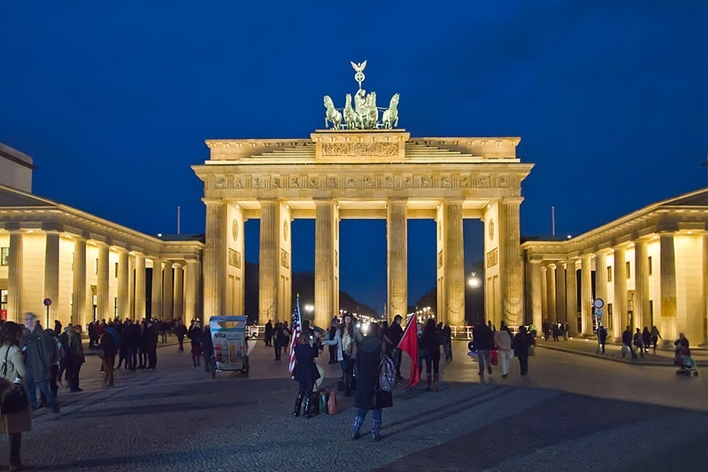 Since Germany is part of the Schengen area, instead of applying for a German tourist visa, one will need to apply for a Schengen visa to visit Germany. Germany was one of the pioneers of the free movement in Europe. In 1985, Germany along with France, Luxemburg, Belgium and the Netherland signed the Schengen agreement. This agreement allows tourists to travel freely amongst these countries. Over the years, 21 other countries have signed the agreement and together they constitute an area called the Schengen area. Tourists traveling to any of these countries now need to apply for a Schengen tourist visa instead of a visa for that country. This visa allows them to travel to that country as well as the other Schengen countries. What is important to keep in mind when applying for a Schengen visa is choosing the right embassy to apply at. Tourists must apply for a Schengen visa at the embassy of the country they will be spending maximum time in or where they are arriving first. Hence if you are planning to visit Germany, you will need to apply for a Schengen visa at the German embassy. You can also apply for this type of tourist visa if you are touring through Europe but plan on visiting Germany first. How to Apply for a German Tourist Visa? The application process for the visa is fairly straightforward. First, you will need to collect the relevant documents. The visa application form is available free of cost online and can be downloaded easily. This form may be filled in on the computer by editing the file or be printed and filled out by hand. You will also need to have at least two recently taken passport photographs and a valid passport. Once you have all the documents in order, you may then book an appointment at the German consulate. You can submit your German tourist visa application form, passport and documents here. A visa processing fee will need to be paid and you may be interviewed by the visa issuing officer. The visa can take up to 14 days to be processed after which you may collect your passport and visa. A cover letter is necessary especially in cases where the person is not submitting the visa application form in person. This letter must mention the purpose of the trip, places to be visited, proof of how the trip will be funded, an explanation of the applicant’s relationship with the sponsor if any and the person’s intent to return to his or her home country. If any of the required documents are not being submitted along with the form an explanation for the same should also be included. When issuing the visa, the officials need to know that the person does not have an intention of staying on illegally in the country. Hence a flight itinerary or round-trip tickets may be asked for. The visa office will not accept a one-way ticket. If you are submitting a flight itinerary you will need to shoe a seat reservation on an airline with details such as the flight number, arrival and departure date, airport IATA code and the price of the ticket. It is not necessary for the ticket to be booked before the visa has been issued. If you plan on staying with relatives or friends in Germany, a letter of introduction from them can act as proof of stay in Germany. Alternatively, you can make a dummy booking at a hotel in Germany by paying a small fee. The hotel will then send you an email with the booking details that can be used as proof of stay. Once in Germany, you can choose to stay in this hotel or make your own hotel arrangements. To prove that you can bear the expenses of this trip, you will need to submit proof of your financial status. This can take the form of salary slips, bank statements from the last three months, a copy of your income tax returns and proof of employment. If the trip is being sponsored by someone else, an explanation will be needed as to your relationship with the sponsor and their reasons for sponsoring the trip. Any tourist applying for a German tourist visa must have a minimal insurance cover of EUR 30,000. This insurance can be bought from any insurance agent. The applicant’s passport must be valid for at least 3 months after his or her return from Germany and should have at least two empty pages. Any previous Schengen visas issued will also need to be submitted. The applicant should have a neutral expression and be looking straight into the camera. Both eyes must be open and uncovered by the hair, tinted glasses etc. Hair must be pulled back so that forehead and both ears are clearly visible. Headwear is permitted only if it is worn for religious purposes. It must not cover any part of the face or cast a shadow on the face. When submitting the document and application form, visa processing fees and a service charge are payable. This can be paid by cash or through a credit/debit card. This payment is non-refundable.